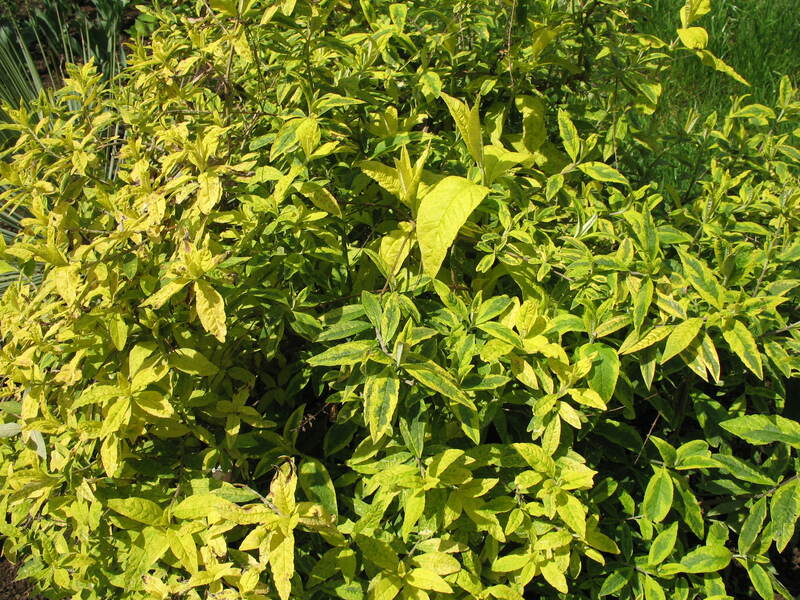 Comments: Fragrant red-purple flowers and bright, variegated yellow leaves make this plant outstanding. Prune back plants in late winter because flowers are produced on new growth, not on the previous year's growth. Plant in full sunlight and in a well drained soil.